Download and install reaConverter. Start it and load your NVA files into main window. 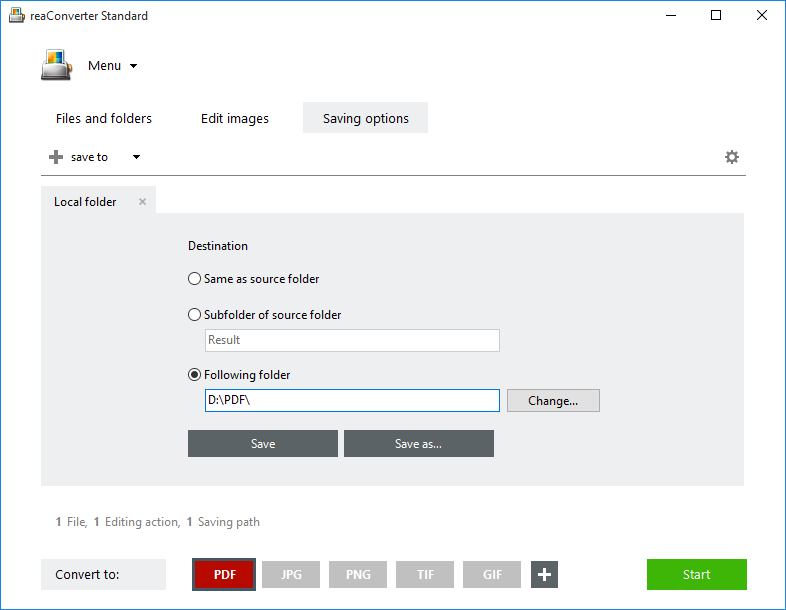 This powerful batch converter features a useful drag-and-drop tool, as well as the possibility to select files manually or add entire folders. 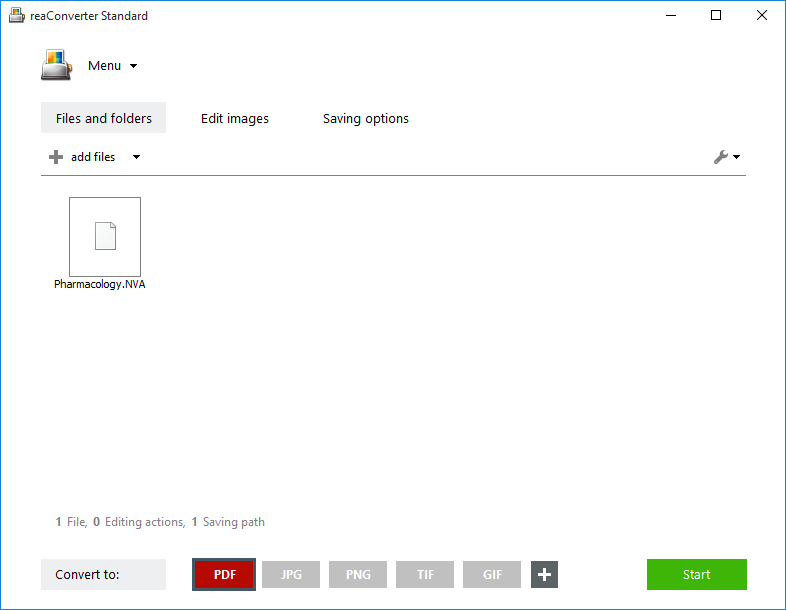 Go to the Edit images tab in case you want to resize, crop, rotate, watermark or add other editing features to your converted NVA files. Finally, go to Saving options and choose a location for your newly converted ebook files. Last but not least, pick the format of the output files. 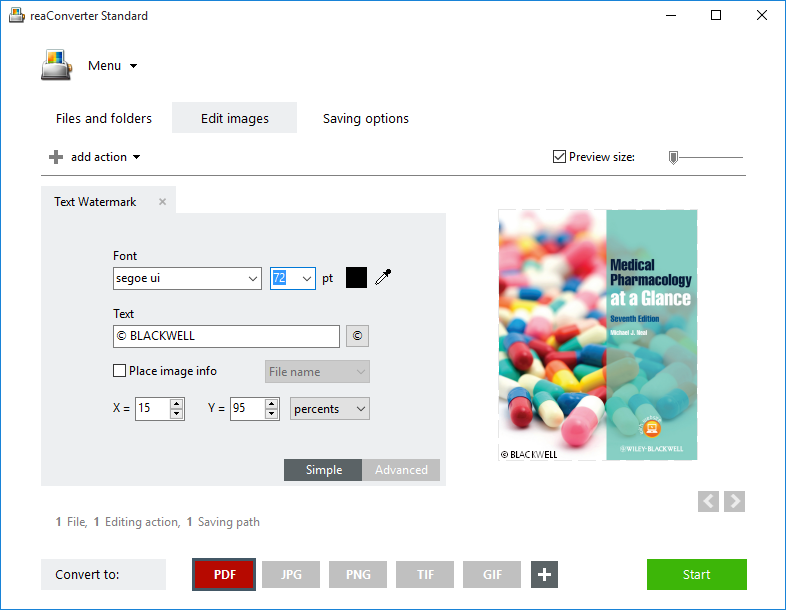 reaConverter supports vector to vector conversion from NVA to PDF, which means your ebook will be converted to a more accessible format and preserve its quality. Alternatively, you can convert NVA files to multipage TIFFs or to other popular raster formats, including JPG and PNG. Next, simply click Start and your newly converted files will soon be ready! Advanced users can convert NVA ebooks using command line interface in manual, automated or scheduled mode. You are welcome to contact our technical support when you have any questions about reaConverter.